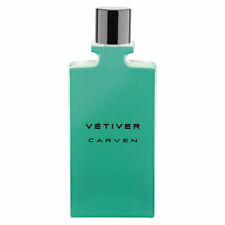 Showing results for "vetiver carven"
Over 300,000 top fashion items on sale with the best prices online! shop now MENU 100% Satisfaction guaranteed Daily Savings of 35-80% off Millions of Happy Customers shop by category Women Men Boys Girls Baby/Toddler Handbags Accessories View All Carven Meleze Heels 2298 BRAND: Carven view more from this brand Condition: New with box Brand/Style: Carven Meleze Color: Green Material: Suede Measurements: 3.75 heel Width: Medium (B, M) Sku: 4418402 The Carven Meleze Dress Shoes feature a Suede upper with a Round Toe. The Leather outsole lends lasting traction and wear. Over 300,000 top fashion items on sale with the best prices online! shop now MENU 100% Satisfaction guaranteed Daily Savings of 35-80% off Millions of Happy Customers shop by category Women Men Boys Girls Baby/Toddler Handbags Accessories View All Carven 966SC137 Mules 2851 BRAND: Carven view more from this brand Condition: New with box Brand/Style: Carven 966SC137 Color: Black/White Material: Leather Measurements: 4.25 heel Width: Medium (B, M) Sku: 4519529 The Carven 966SC137 Dress Shoes feature a Leather upper with a Round Toe. The Leather outsole lends lasting traction and wear. Over 300,000 top fashion items on sale with the best prices online! shop now MENU 100% Satisfaction guaranteed Daily Savings of 35-80% off Millions of Happy Customers shop by category Women Men Boys Girls Baby/Toddler Handbags Accessories View All Carven 966SC137 Mules 2851 BRAND: Carven view more from this brand Condition: New with box Brand/Style: Carven 966SC137 Color: Black/White Material: Leather Measurements: 4.25 heel Width: Medium (B, M) Sku: 4519653 The Carven 966SC137 Dress Shoes feature a Leather upper with a Round Toe. The Leather outsole lends lasting traction and wear. Over 300,000 top fashion items on sale with the best prices online! shop now MENU 100% Satisfaction guaranteed Daily Savings of 35-80% off Millions of Happy Customers shop by category Women Men Boys Girls Baby/Toddler Handbags Accessories View All Carven 966SC137 Mules 2851 BRAND: Carven view more from this brand Condition: New with box Brand/Style: Carven 966SC137 Color: Black/White Material: Leather Measurements: 4.25 heel Width: Medium (B, M) Sku: 4519532 The Carven 966SC137 Dress Shoes feature a Leather upper with a Round Toe. The Leather outsole lends lasting traction and wear. Over 300,000 top fashion items on sale with the best prices online! shop now MENU 100% Satisfaction guaranteed Daily Savings of 35-80% off Millions of Happy Customers shop by category Women Men Boys Girls Baby/Toddler Handbags Accessories View All Carven 966SC137 Mules 2851 BRAND: Carven view more from this brand Condition: New with box Brand/Style: Carven 966SC137 Color: Black/White Material: Leather Measurements: 4.25 heel Width: Medium (B, M) Sku: 4519521 The Carven 966SC137 Dress Shoes feature a Leather upper with a Round Toe. The Leather outsole lends lasting traction and wear.